Preschool registration is always the focus the first few months of the year in the Chicago suburbs and we wanted to take this time to feature ABC Preschool in Oak Brook. They are doing great things over there! Read our highlights below and don’t miss their Open House on April 3, 2019 from 9:30 – 11:00 am. This article is sponsored by Oak Brook Park District, but all opinions are our own. 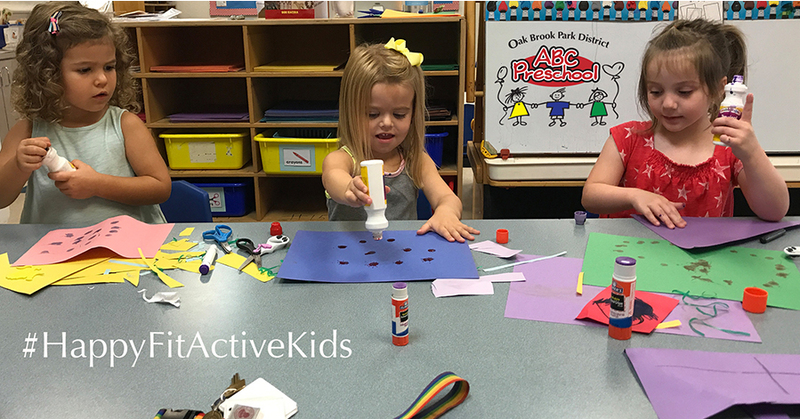 ABC Preschool features creative curriculum: a play-based curriculum that Oak Brook Park District partnered with the award-winning Butler School District 53 to create. You will also want to check out their outdoor playgrounds, indoor gyms and play equipment, and inclusive programs. Half-day and full-day options are available and there aren’t residency requirements- parents that work in Oak Brook may even be eligible for resident tuition rates. Their fun and age-appropriate program enriches individual social, emotional, and intellectual growth so students are well prepared for kindergarten, and beyond! Close communication with Butler School District 53 ensures that staff is focused on important Kindergarten readiness skills and lessons are fresh, engaging, and effective. ABC Preschool students have the benefit of a learning environment that has access to exciting, state-of-the-art outdoor playgrounds, indoor gymnasiums and play equipment. Because outdoor play is essential to the development of all children, students go outside to play frequently. This helps boost creativity, burn energy, reduce stress, build social skills, and provides a safe environment for preschoolers to learn how to navigate risk. Designed for 3 year olds, this program has 2-day, 3-day, and 5-day half day options. There are also several enrichment classes offered each school year to extend half day programs and allow children to further explore areas of interest like science or reading. They strive to maintain a staff:child ratio of 1:6 for this program. This program, especially designed for 4 year olds, has a popular full day option from 9:00 am – 3:00 pm. 2-day, 3-day, and 5-day half day (9:00 – 11:30am) options are also available. Their goal ratio is 1:7 for the Saplings program. There are no residency requirements to enroll in Oak Brook Park District’s ABC Preschool. In fact, parents that work in Oak Brook may be eligible for resident tuition rates. 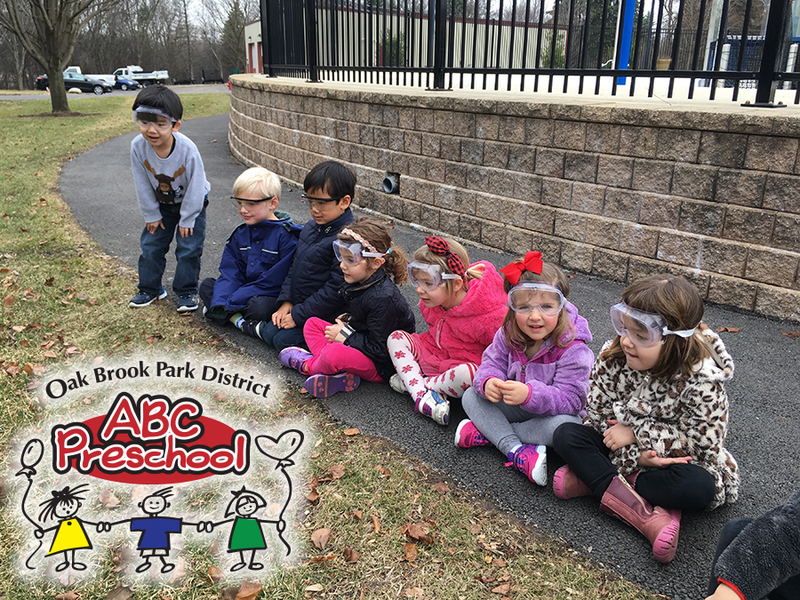 Oak Brook Park District’s ABC Preschool program is designed to provide a coordinated and progressive program of services, that is responsive to the needs of each individual child. We are proud to feature an inclusive program where children with special needs learn alongside their peers and our unique curriculum is designed to lay the foundation for academic success, and spark a life-long love of learning. Specialized services are provided through an integrated model, which is beneficial to the development of all students. Through their partnership with Butler School District 53 and The LaGrange Area Department of Special Education (LADSE), they are able to provide certified Early Childhood Education teachers, special education teachers and classroom aides, and speech/language, occupational, and physical therapists on staff. These individuals and the parents of students work together as a team. All staff are CPR and first aid certified. The partnership also provides the opportunity for specialized services to be provided through an integrated model, which is beneficial to the development of all students. 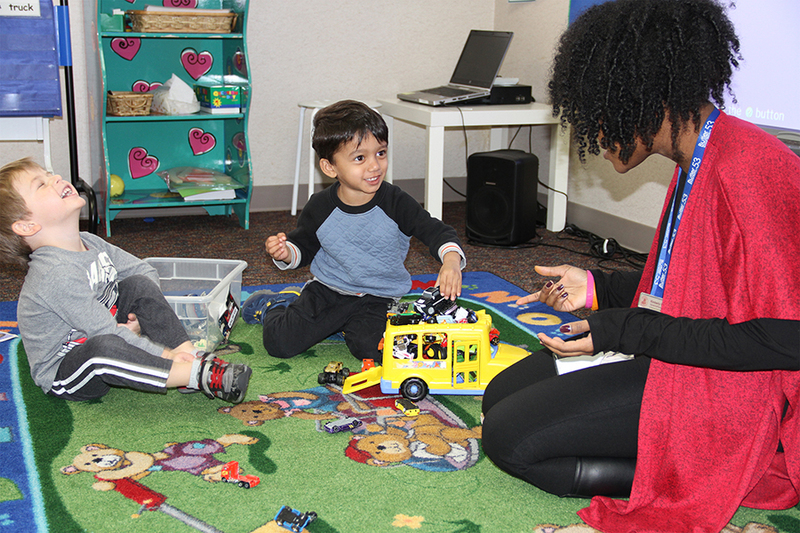 The Oak Brook Park District preschool’s inclusive philosophy works to ensure that teaching and support staff will, as far as possible, be responsible for the implementation of individual family service plans within the context of the program. ABC Preschool is located in Cori’s Way, a secured wing of the Family Recreation Center, 1450 Forest Gate Road in Oak Brook. Parents that wish to see the school or explore this amazing early childhood education program are encouraged to contact Karen Spandikow at kspandikow@obparks.org or call (630) 645-9589. You will find ABC Preschool and more in our Preschool and Daycare Guide. Be the first to comment on "ABC Preschool Provides Creative Curriculum, Amazing Play, Inclusivity"